The draw has been set, and will be released shortly. There are 32 VCE subjects competing, but only ONE can come out the other side as the winner. The people's champion. The ultimate VCE subject. And it's all up to you! ... basically, you just vote for whichever subjects you like, for whatever reason! 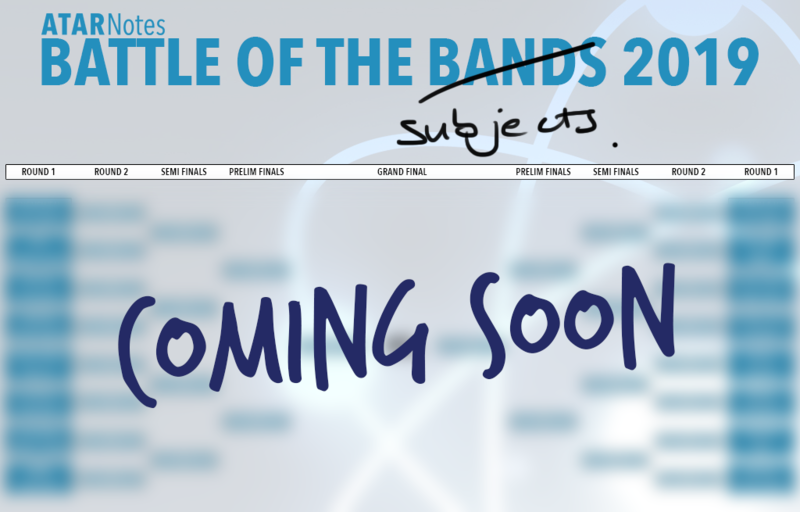 The initial rounds will see subjects paired off, and the winners will progress to the final 16. Then the final 8. Then the final four. Then the final two. If you're interested, you can find last year's thread here. Which subject is your tip? I reckon either bio or HHD might actually be the last two standing, even though secretly (or not so secretly) I'd love to see chem win! It got knocked out in the first round by Further last year! A tough first-round match. My tip is it will improve in 2019. I think we all know what my favourite subject is. Yeah, #TeamPhysicsftw!! Upset that it got such a bad first round matchup, hopefully something easier this time, say, Legal? Why can't all the sciences win? Last years top 4 (or 2) should be seeded. I think Biology will repeat. Defs considered. Didn't do it in the end but I guess there's still time. PM me or send a text to 0420879688 if you have any questions or you are interested! Did someone just say that Psych was a science? I mean, it absolutely is.